People with diabetes often struggle to make healthy choices and stay on top of managing their illness. 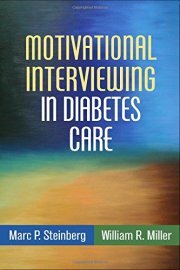 Filling a vital need, this is the first book to focus on the use of motivational interviewing (MI) in diabetes care. The uniquely qualified authors–physician Marc P. Steinberg has devoted much of his career to diabetes care, and renowned clinical psychologist William R. Miller is the co-developer of MI–present proven counseling techniques that can make any conversation with a patient more efficacious and motivating. 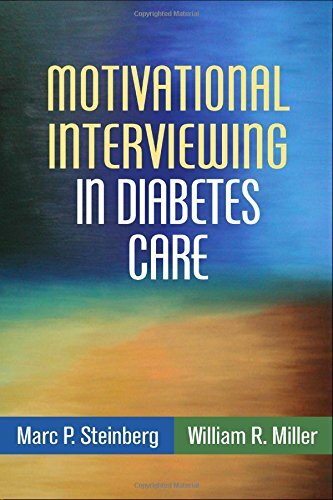 Numerous sample dialogues illustrate specific ways to elicit patients’ strengths and help them overcome barriers to change in such areas as eating habits, physical activity, medication use, insulin treatment, substance abuse, psychological issues, and more.